We flew in to Milan-Malpensa airport on the Saturday morning. 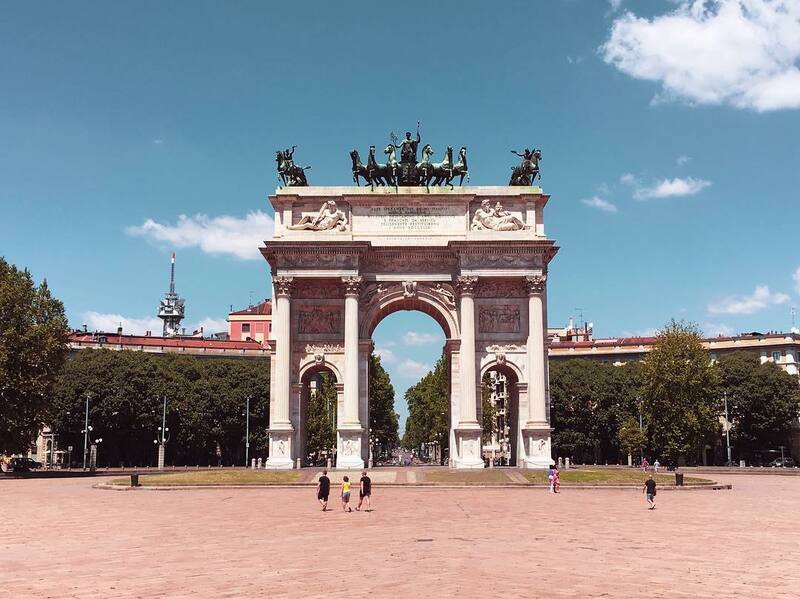 I was the only one who had been to Milan before so we decided to have a quick 24 hours in Italy's design and fashion capital before catching a train to Como. 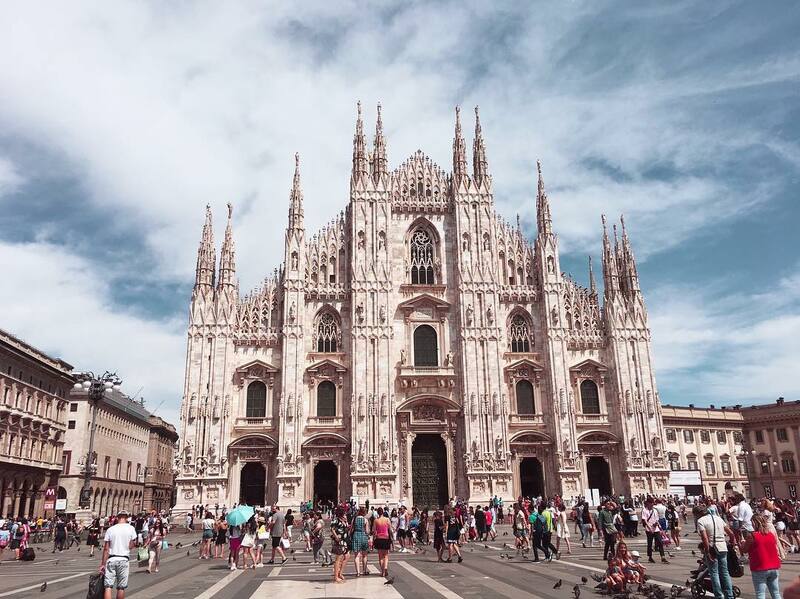 A trip to Milan would not be complete without visiting the famous Duomo di Milano. 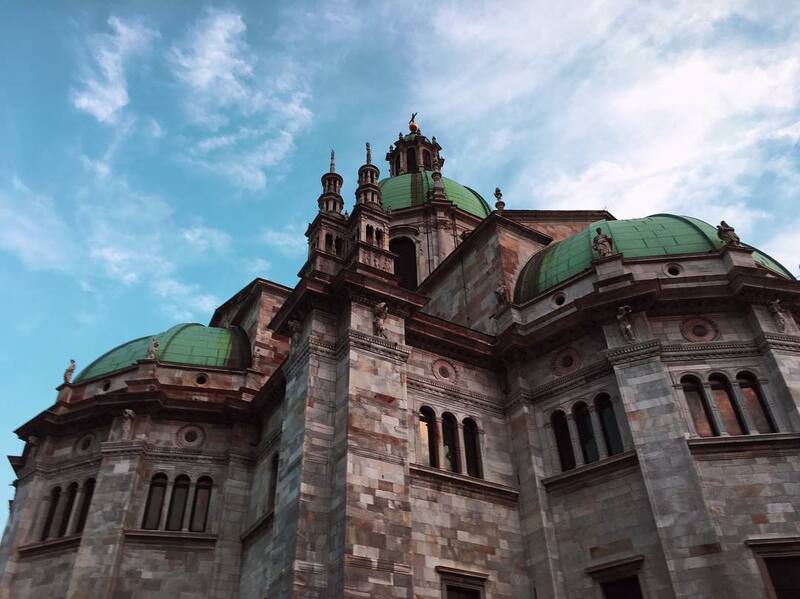 It is one of the most impressive buildings I have ever seen and is a gorgeous piece of Italian Gothic architecture. 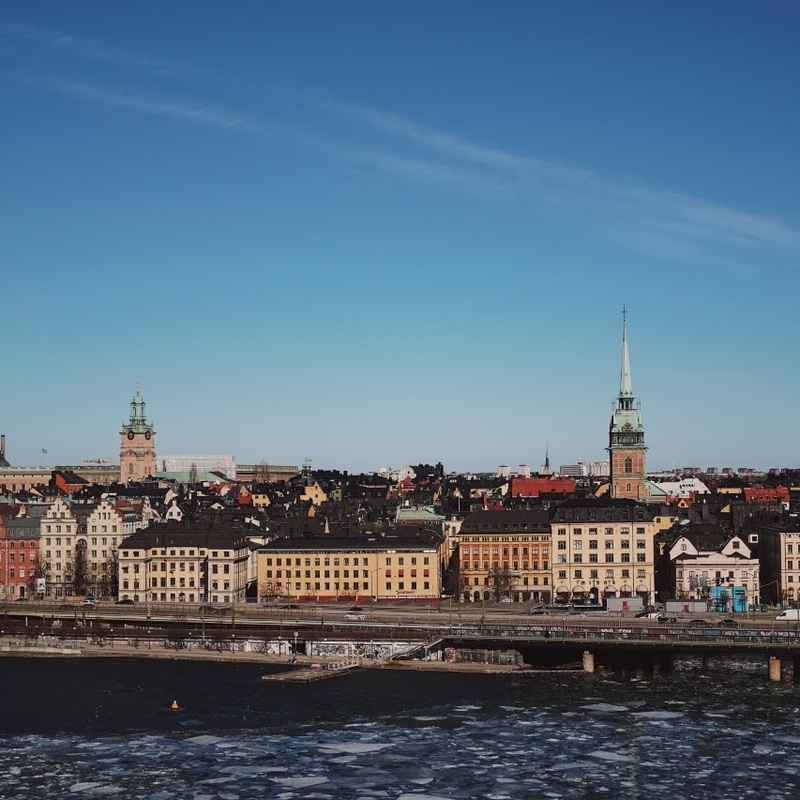 Compared to my last visit, it was not as busy, and whilst it had still attracted large crowds of tourists, we did not have to queue for too long to go up on to the roof. The rooftop views were stunning and even though I felt like I was melting in the sun, it was worth it. 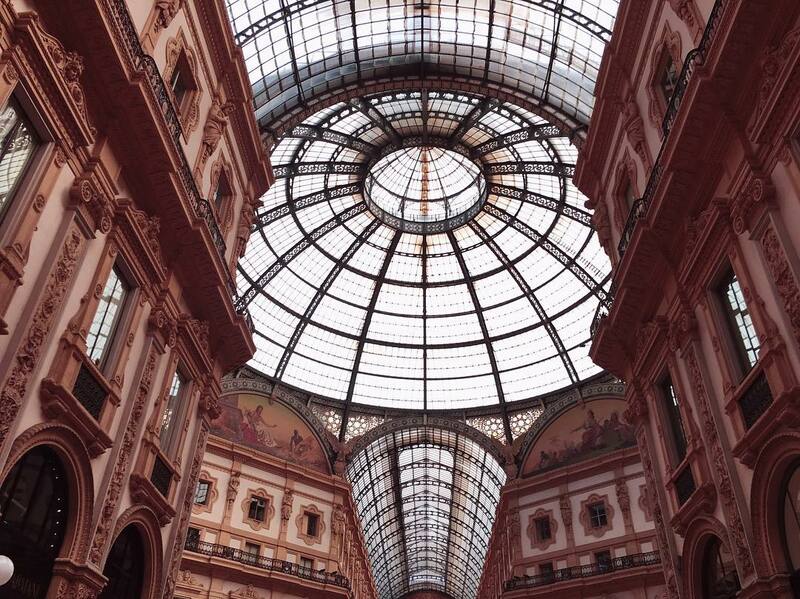 Just by the Duomo is the iconic Galleria Vittorio Emanuele II, a shopping mall and one of the oldest in the world. Whilst we did not do any shopping (I wish I could afford to splurge on luxury brands like Valentino and Versace), we couldn't resist joining the other tourists in taking photos of the iron and glass roof and the mosaic floors. 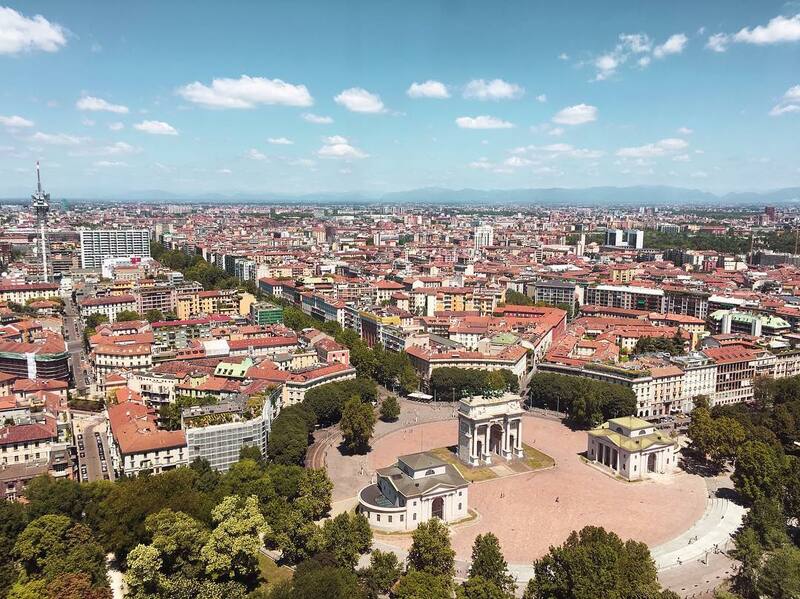 We headed to Parco Sempione where we went up the 108m high Torre Branca for a 360 degree view of Milan. I had no idea before this trip that this tower existed, let alone that you could go up it. 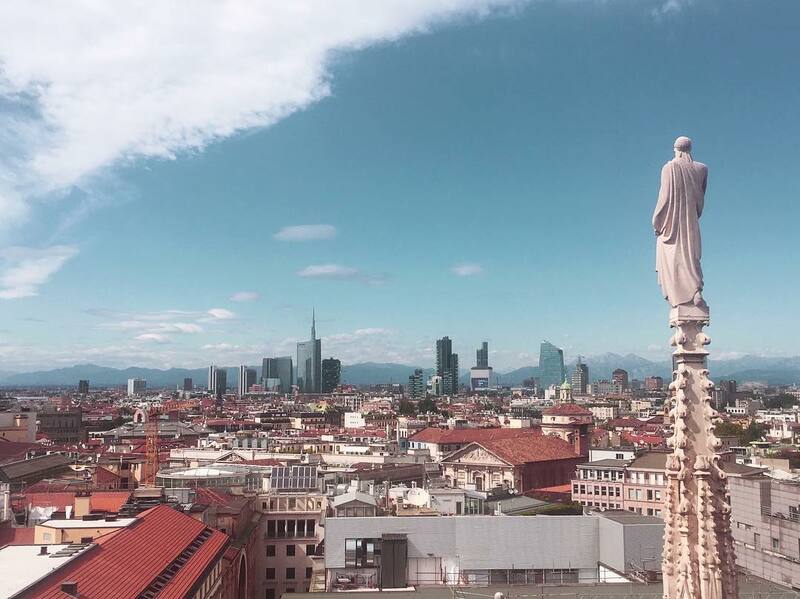 The views were breathtaking and for €5, I would recommend a little walk here if you are visiting the city. 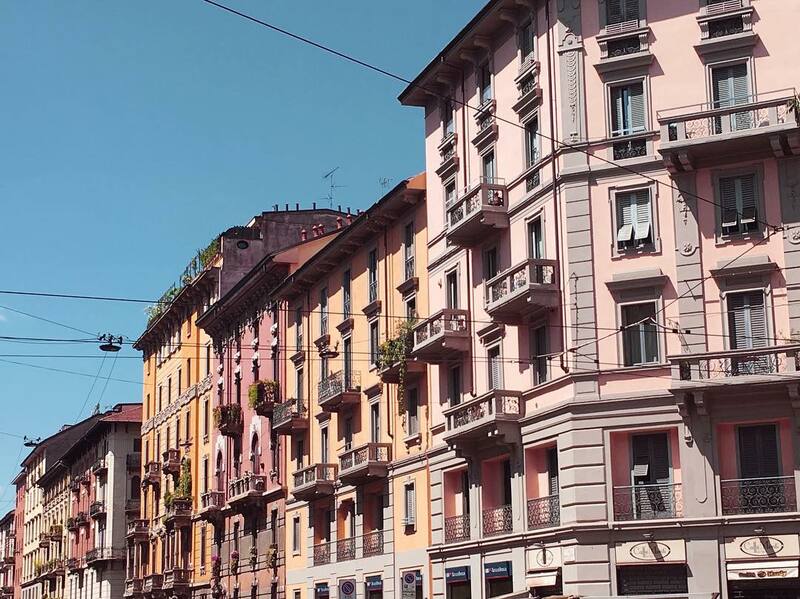 One of my favourite things about Milan is the beautiful architecture. Nearly every street we walked down, I had to stop and snap a photograph of one of the buildings. On the Sunday we caught the train to Como. We stayed in a little apartment just a short walk from the lake. It was small but sweet, and in a perfect location being about 6 minutes from the train station. 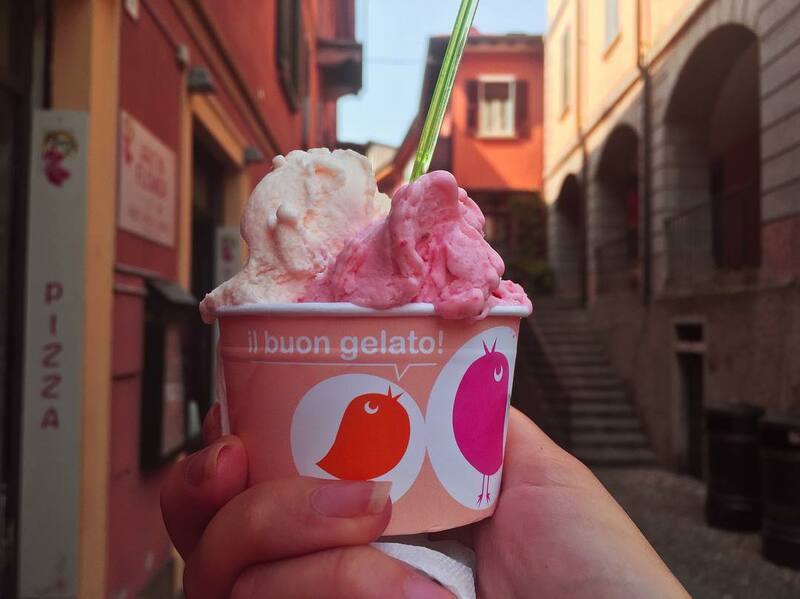 Como is full of cute streets and squares, a variety of shops including some gorgeous fashion boutiques, restaurants with all the pizza and pasta you could wish for, and of course many gelaterias. 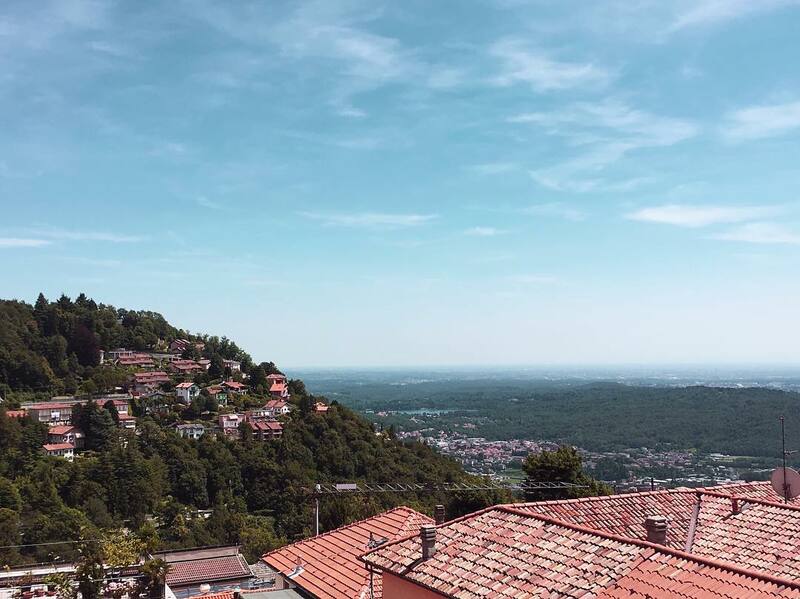 One of the main attractions in the city of Como is the Funicolare Como–Brunate, a funicular railway connecting Como to the town of Brunate. After reaching the town, we walked the not-so-short walk to the Faro Voltiano, a lighthouse named after Alessandro Volta. Along the way, we saw so many beautiful houses. Even though my lungs were burning by the time we reached the top, it was worth it and the views of the lake were gorgeous. 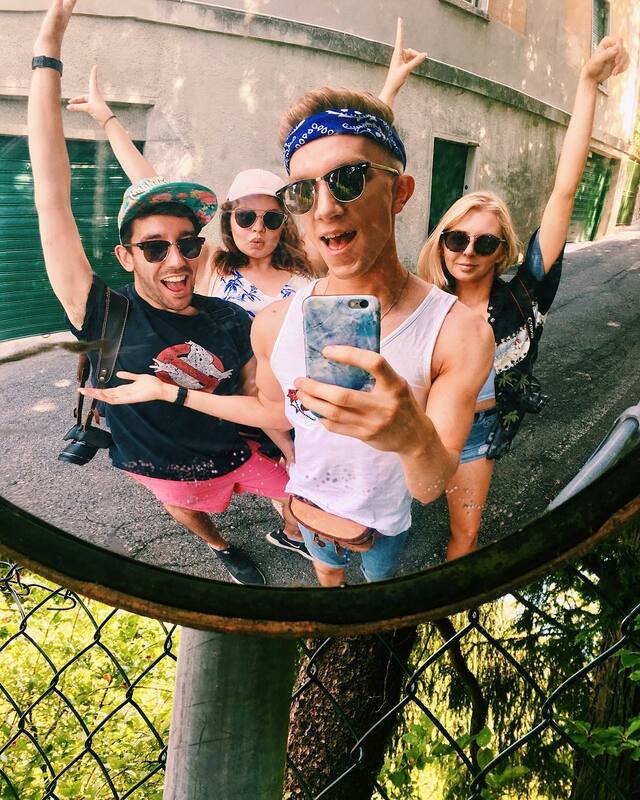 We decided to spend a day at Lido Villa Olmo where we could swim and sunbathe. It was your typical must-charge-extra-for-everything place, but considering how inexpensive the trip had been so far, we didn’t mind spending the money. For example, you aren’t allowed to swim in the pool without a swimming cap, so we all paid €3.50 for one (and we looked ridiculous). I love holidays where you just lie in the sunshine and read or listen to a podcast, ice cold beverage in hand. 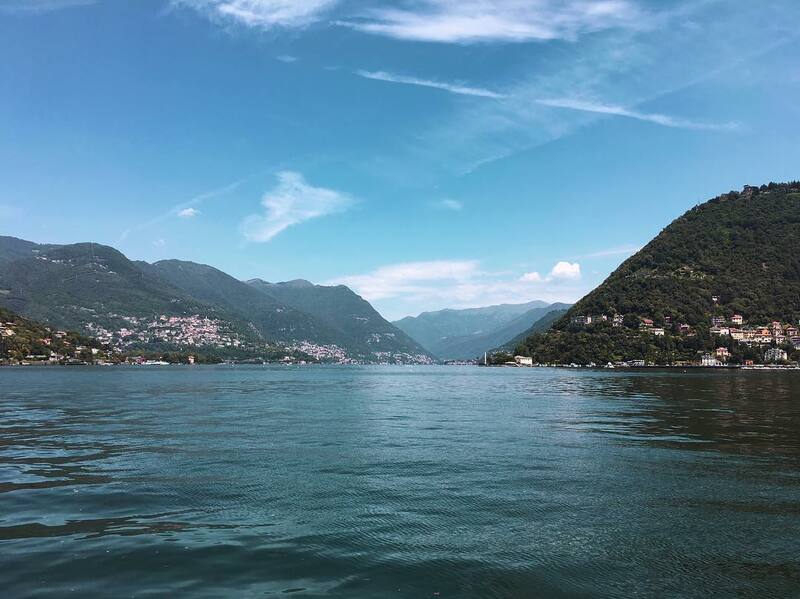 We couldn’t go to Lake Como without doing a boat trip and the day we did was my absolute favourite day of the holiday. Our tickets cost about €25 each for a sort of hop-on, hop-off service, where we could visit many of the towns lining the lake, such as Lenno, Tremezzo and Menaggio. 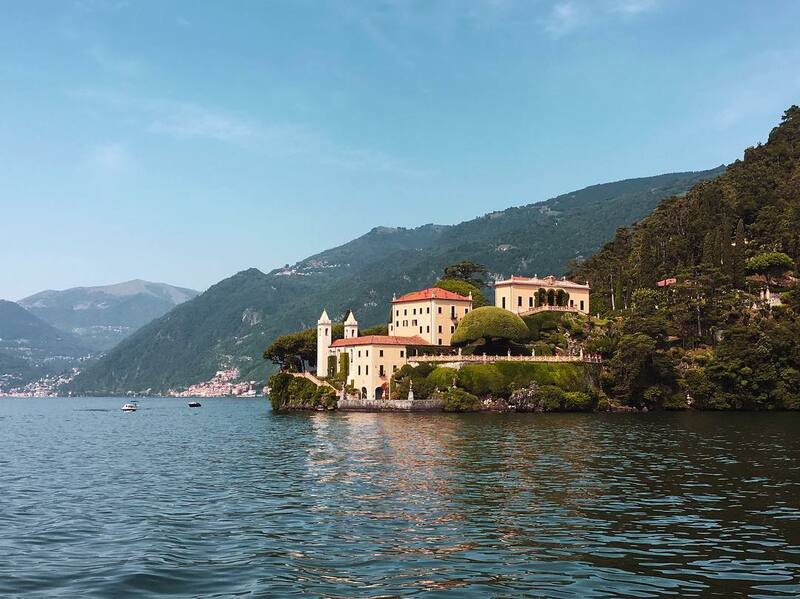 Villa del Balbianello, where a scene in Star Wars was filmed! The first stop where we decided to get off was Varenna. We only planned on staying here until the next boat to Bellagio, but we all fell in love with the place. 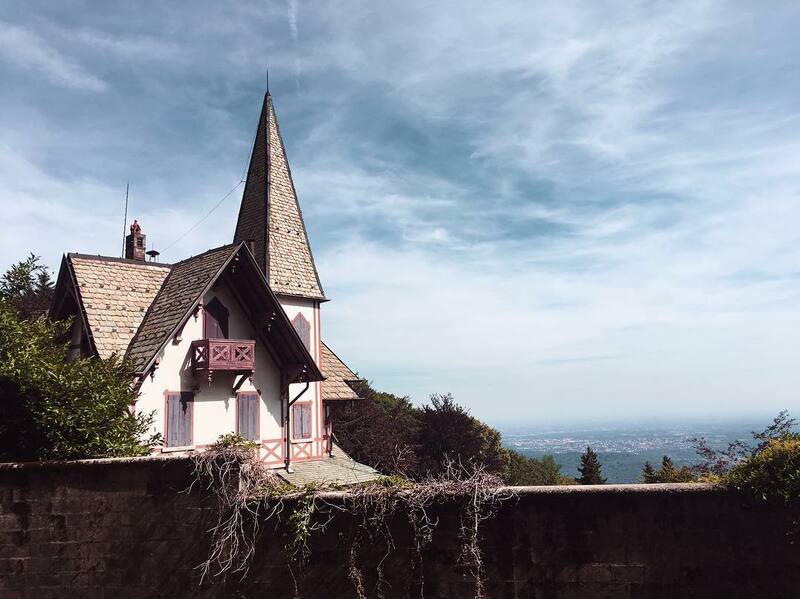 It was so picturesque and we ended up relaxing at Nilus bar, eating nutella and banana crepes, and taking in the views of the lake. The water was so blue and a gorgeous contrast to the multi-coloured buildings. 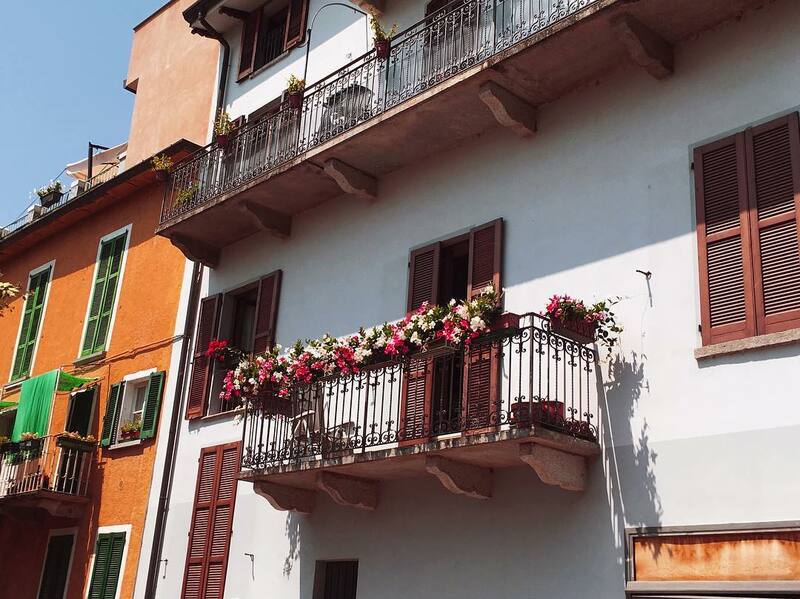 Varenna is one of the nicest towns I have ever visited, it didn’t feel like it had been spoilt by tourism at all. 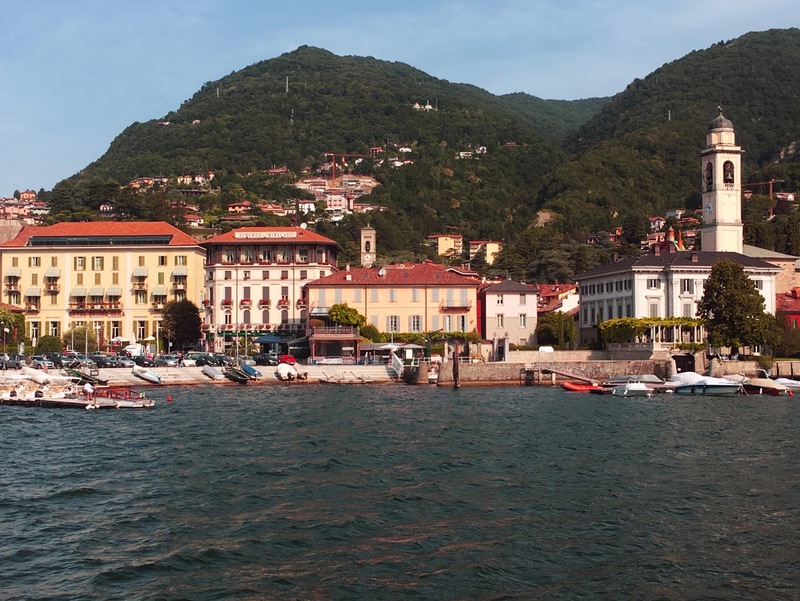 If you are planning a trip to Lake Como, a day in Varenna should be top of your list. We then decided to hop back on the boat and get off at Bellagio. Bellagio was a lot busier than Varenna, and didn’t have as nice an ambience, but was still full of gorgeous streets, beautiful flowers and the best gelato. I chose strawberry and melon, it was so refreshing and the melon was one of the nicest flavours I have tried, it reminded me of watermelon sweets which are the key to my heart. 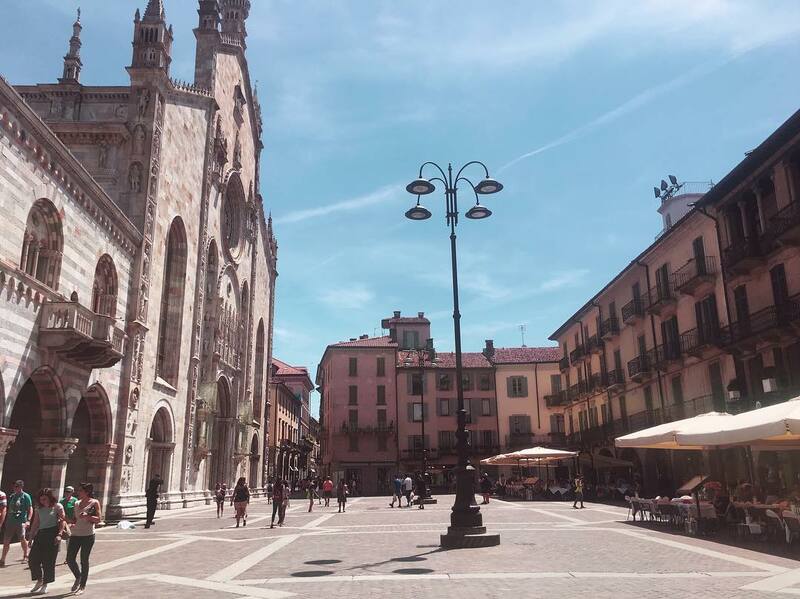 On our last day, we decided to just stay around Como before catching the train back to Malpensa for our flights home. 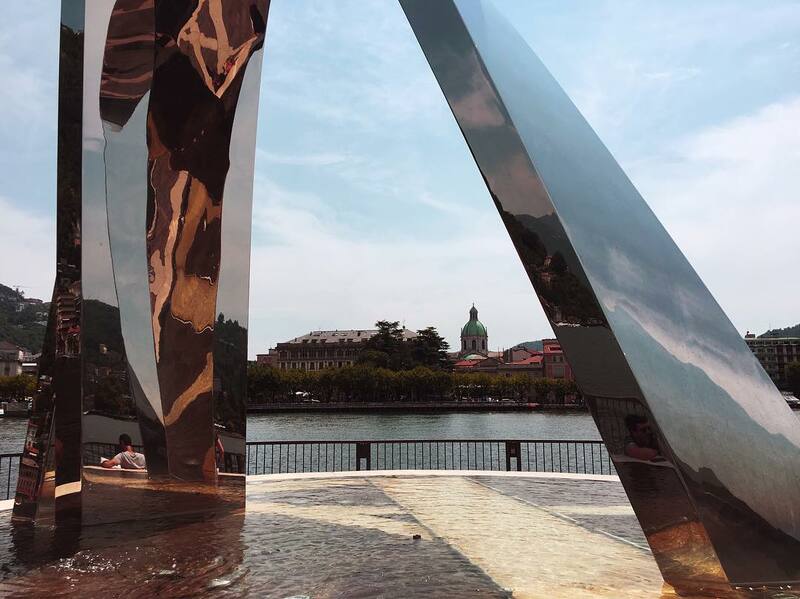 A newer addition to Lake Como is a big stainless steel sculpture called Life Electric. You reach it by walking along a pier and whilst it has been considered as having a negative impact on the beautiful landscape, I thought it was pretty cool! 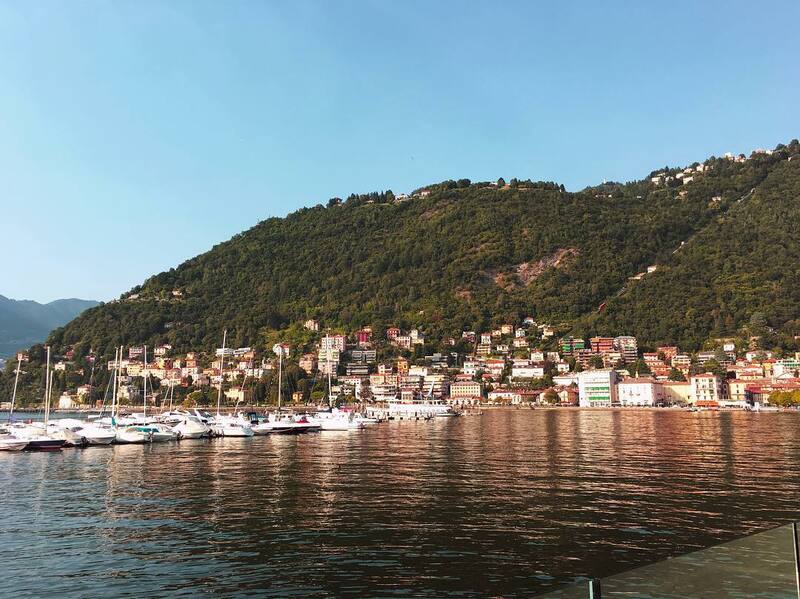 I can definitely see why Chrissy Teigen loves Lake Como so much. 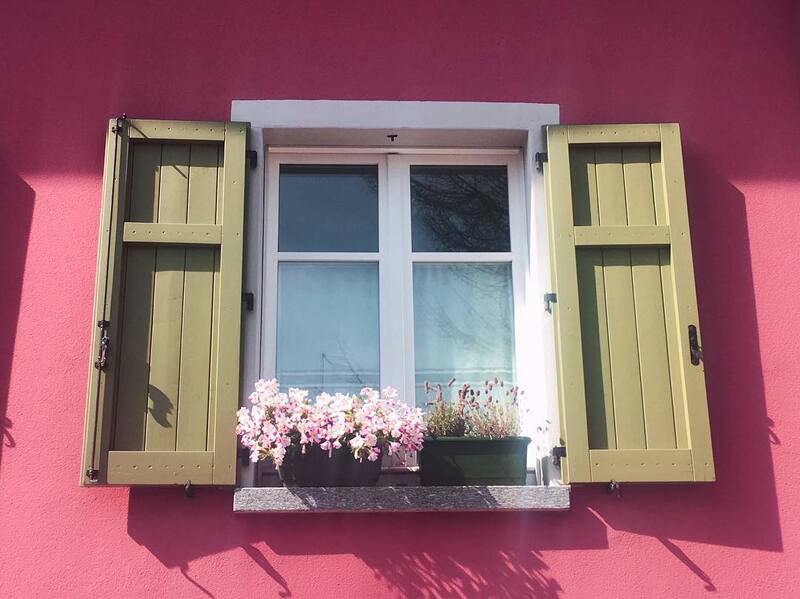 It is so beautiful, has the best food and you could spend days exploring the towns and cities around the lake. 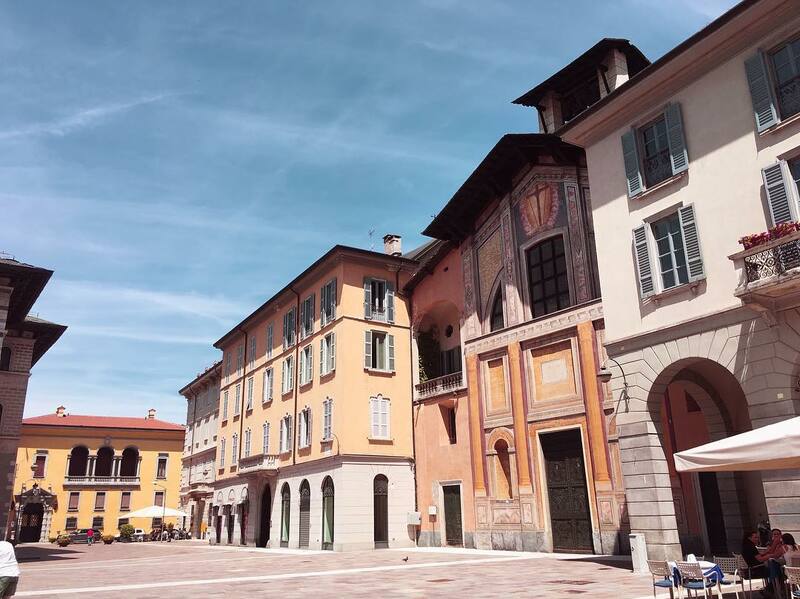 Being a short train journey from Milan, it would be a perfect addition to a weekend break in the city if you are after a relaxing break with gorgeous landscapes and all the gelato you could ask for. 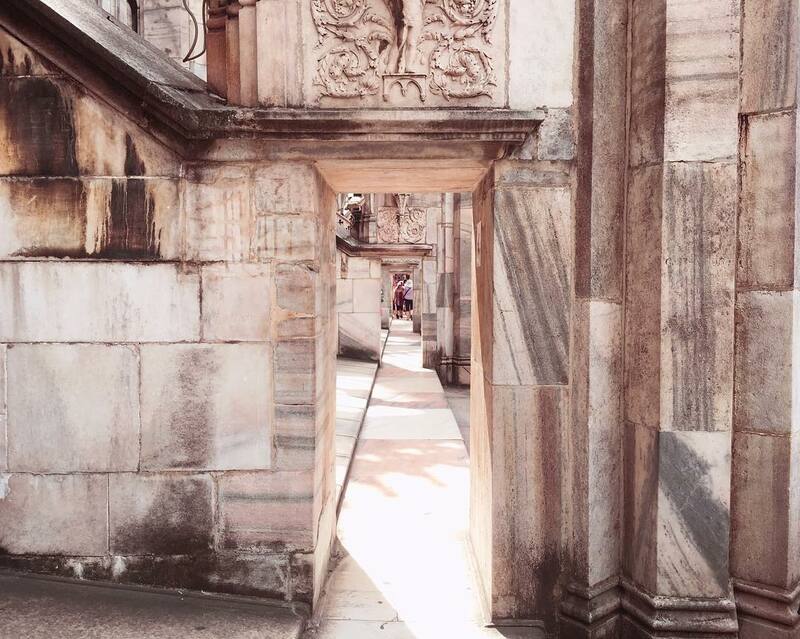 Where have you visited this summer? 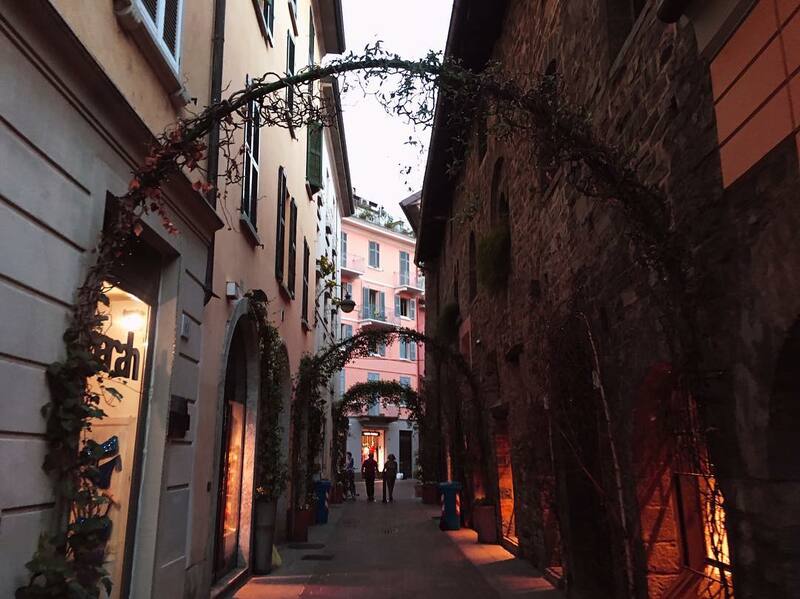 Have you been to Italy before? 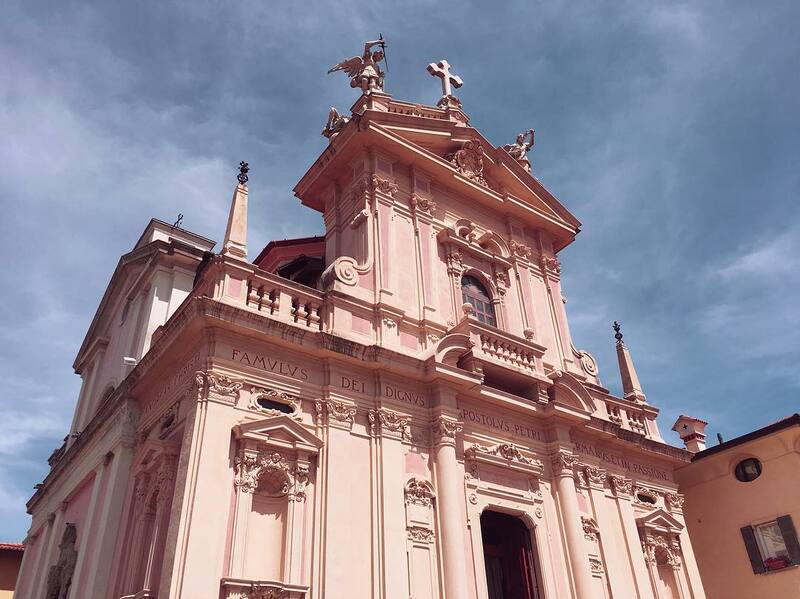 I would love if you followed me on Instagram, Twitter and Bloglovin! 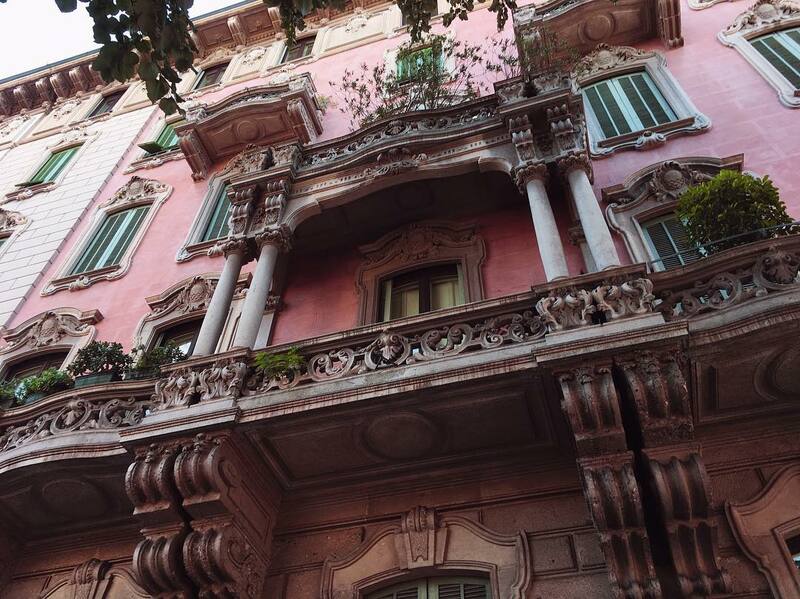 Oh my god I need to visit Milan, everything is so pretty. I love old architecture! 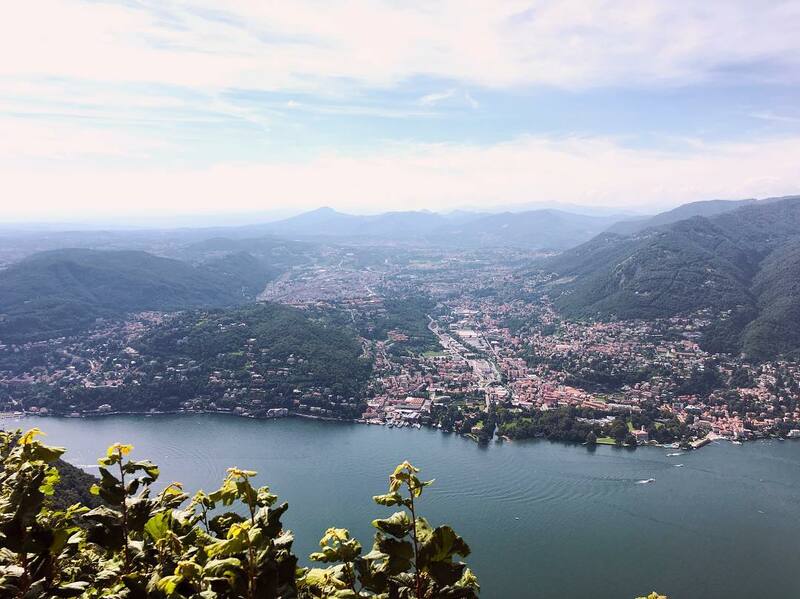 Lake Como has always been on my wishlist of places to visit too. So jealous you got to go! 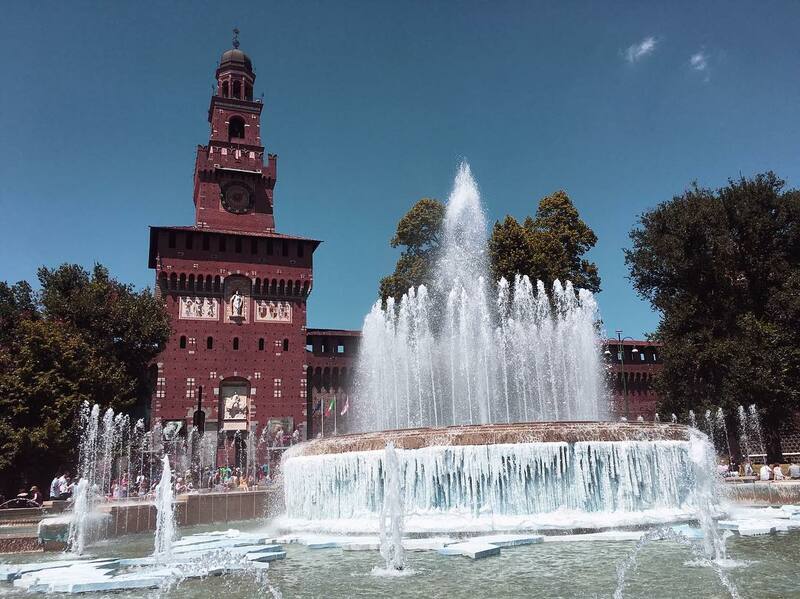 Wow Milan looks so beautiful - your photos are gorgeous! I'm heading there this summer and I can't wait. Wow stunning pictures. 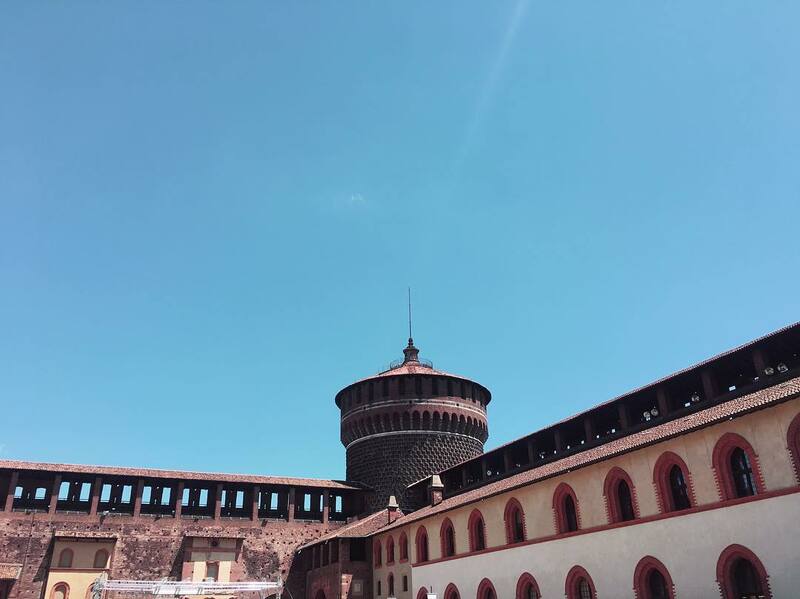 We love Milan such a beautiful place. So much more to see next time we go. WOW wow wow it looks incredible!! 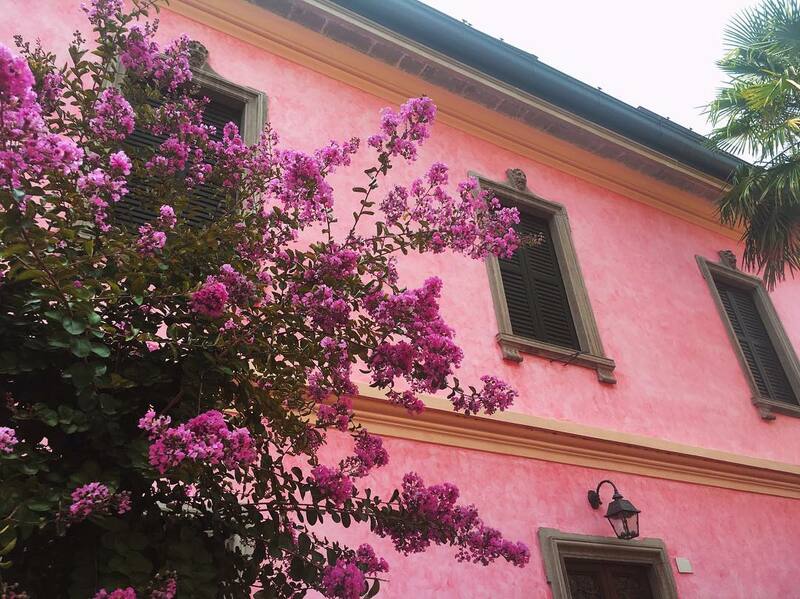 I desperately want to visit Italy, so I really enjoyed reading this post. 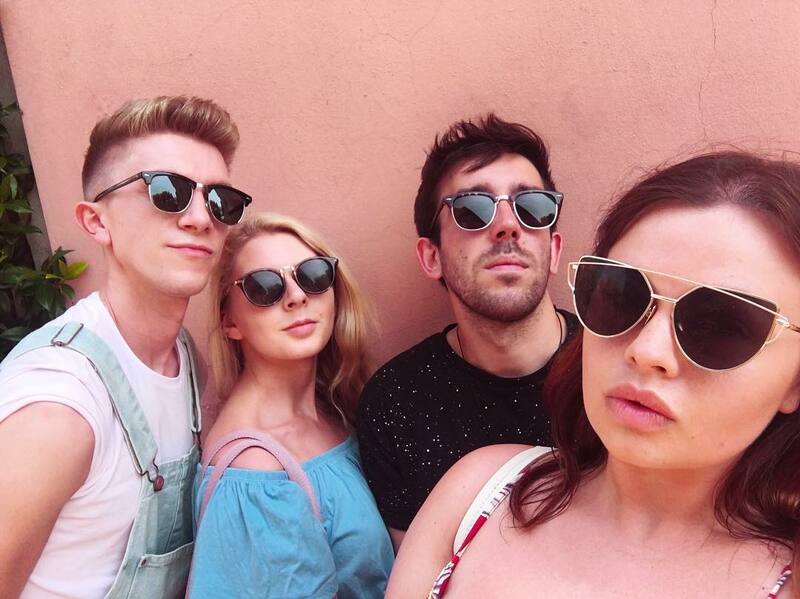 You have made me want to book flights to Italy right now! Thank you for sharing with us.